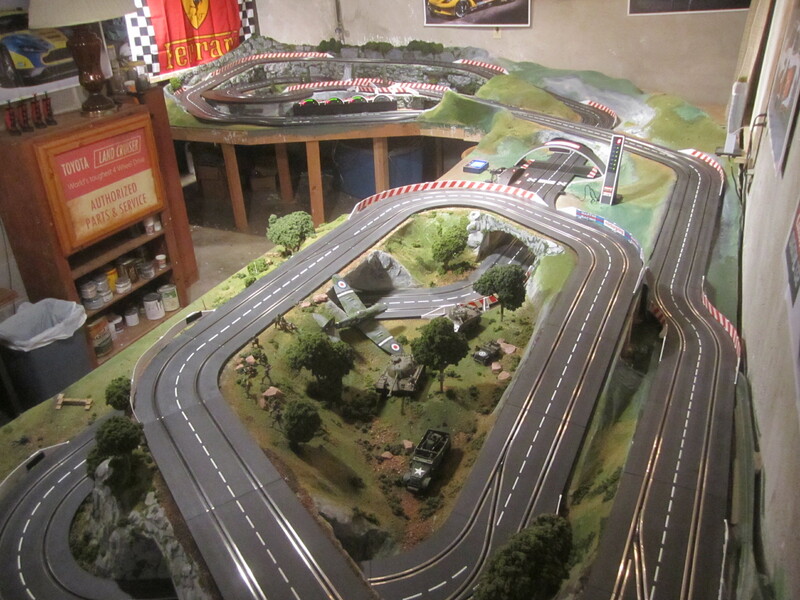 This is a Carrera 132 digital Slot Car layout. We have almost 90′ of 2 lane track, 10 lane changers, 2.4 Ghz wireless controllers, pit lane, 4 driver displays, lap counter, start light and position tower. We’ve expanded the table once and the track 4 times now. You can link to a particular page below or start at the beginning and click the link at the bottom of each page to go to the next phase of development.